This is one of the first large quilts that I made, and the only quilt that I chose to hand quilt. 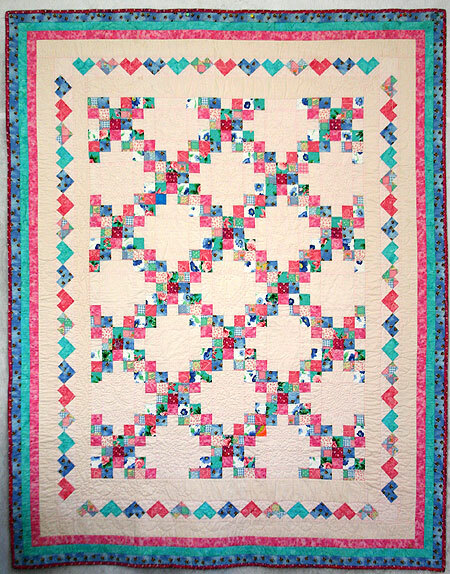 The hand quilting took so long that I was afraid I was never going to finish it, so it has been gifted and in use for years -- 'not quite finished'. After this experience, I was inspired to learn more about machine quilting so I could finish quilting my quilts more quickly!